In order to demonstrate its concept of innovative electrical machine, DDIS decided in July 2008 to design and manufacture a wind turbine. Indeed the benefits of such a wind generator are numerous: no gearbox, electricity high quality, low total head mass. 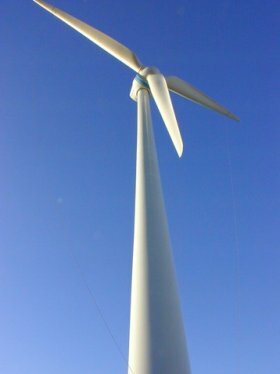 The nominal power of this first wind turbine is rated at 800 kilowatts and a rotor diameter of 60 m, dedicated to low wind speed sites (6 m/s at hub height). But it is clear that technology will apply to larger wind turbines (2MW, 5MW and more, particularly for large offshore wind farms).